Learn ability How easily new users are able to achieve their goals during a first visit to your website. Memorability Is how easy it is for a user to come back to using your website after they have been away from it for a period of time. Efficiency The speed with which users are able to complete unfamiliar tasks. Satisfaction The extent users like the website redesign. Errors The number of errors the average user makes and the severity of these errors, including how easily the user is able to recover. If a website redesign falls short in any of the above, the likelihood of users returning to the site diminishes, particularly if they can access a similar site that offers the same tools and information with a more advanced user experience. Running your own usability tests after a website redesign is one of the best ways to determine how users are interacting with your site and to pin-point where potential problems may lie. There are a number of resources online that offer usability testing services. 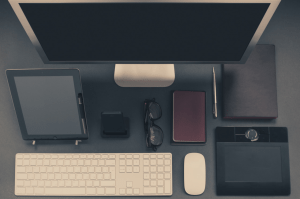 Ranging from free to premium, these tools are much more effective at ensuring your website redesign is successful than relying on your own intuition. Whatever you choose, it is important that it works on your website and will provide you with relevant data. The following are some top choices to suit a variety of budgets. This robust system allows you to obtain videos of users speaking their thoughts as they use your website. You can specify tasks that you would like the user to accomplish like find open hotel rooms for next weekend or place a pair of sunglasses in your shopping cart and watch their results. The videos are a great format to hear feedback and issues directly from the tester. 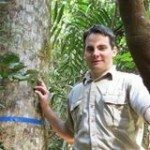 Testing with this platform runs $49 per test participant. Ethnio is a hub for tools like Usabilla, Optimal Workshop, UserTesting.com, and GoToMeeting. It works by soliciting the help of visitors of your website to help you with research. You also have the option to offer incentives to increase participation. With the free plan, you will receive up to 10,000 page views per month and 250 response. Paid packages are also available beginning at $49 per month, for which you gain 100,000 page views and 500 responses. The most expensive plan, at $299 per month, provides you with over 1 million page views, unlimited responses, and some additional features. For an entirely different approach to usability testing, you may like CrazyEgg. 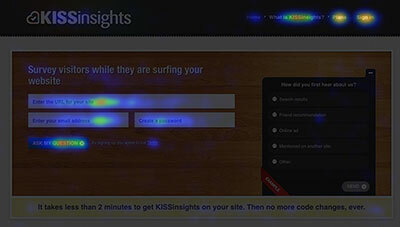 With this plugin, you receive heat maps to examine how users interact with your website. The service also provides in-depth analysis of site activity with scroll maps, confetti (to categorize clicks), overlay reports, and list reports. The basic plan begins at $9 per month, which provides you with daily reporting for 10,000 visits and up to 10 active pages. The most popular choice is the Plus plan, which, for $49 per month, you receive hourly reports on up to 100,00 pages and 50 active pages along with advanced filtering and mobile heat maps. Mouseflow takes mouse tracking to the next level by allowing you to watch live recordings videos of how your users interact with pages. All you need to do is install a line of code, which will record every mouse movement and click made by visitors to your site. At no cost, you can receive up to 100 recordings per month. If you are interested in increasing conversion, this tool provides the all the insight you need into lead behavior. Any of these tools may be right for you, but its what happens next that is key. After you have received the results of your website usability tests, you should take note of any issues that the tests had in common. Pay attention to the amount of time it took your users to complete various tasks and note any feedback you have been given by the testers about things they disliked or found confusing. Then make those changes happen! Your users and future customers will thank you for your dedication to providing them the best online experience possible.